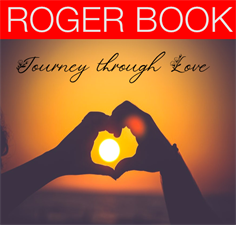 Local guitarist, pianist, poet, story-teller and singer-songwriter Roger Book will perform a special concert, Journey Through Love, Saturday, February 23, at 2:00pm, at the Carl Cherry Center for the Arts, Carmel. Reception will start at 1:15 with light appetizers and wine. During the performance, Roger will take you through the many sides of love, while sharing personal stories from his life and those around him. All proceeds will go to the Carl Cherry Center for the Arts and Carmel's WW1 Memorial Arch restoration project. Tickets are $25, available on brownpapertickets.com or by calling (831) 624-7491.